Cala Pregonda is located in a remote place on the north coast of Menorca. 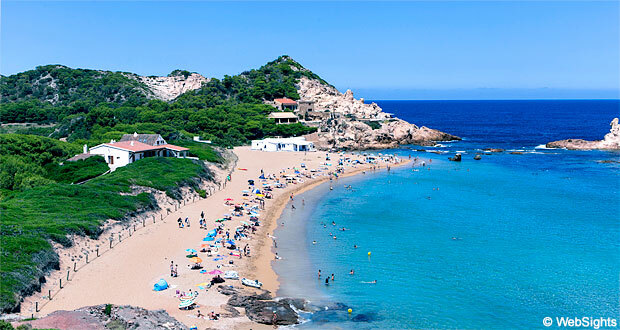 The nearest holiday resorts are Ferreries to the south, Cala Morell to the west and Fornells to the east. 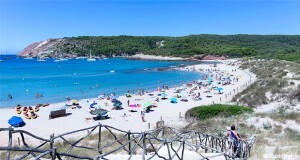 A short walk is required to get to Cala Pregonda. You can park your car at the next beach, Binime·la, and from here there are about 20-30 minutes on foot through the breathtaking landscape. 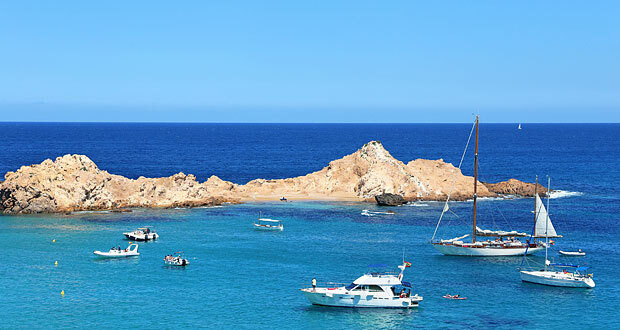 Cala Pregonda is beautifully located inside a bay, well protected by the two small islands Illot and Esculls de Pregonda. The sand is golden, the water is crystal clear and the view from the beach is stunning. 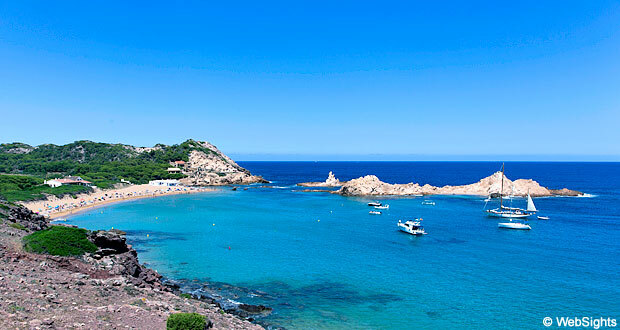 A few hundred metres south-east of Cala Pregonda, you will find the beach Cala Pregondó, which is a bit smaller. There are no facilities at the beaches, not even toilets. Make sure to bring plenty to drink and maybe also a beach tent to provide some shade during the day. A lovely sand beach with relatively shallow and calm water. So except for the 20-30 minutes’ walk, Cala Pregonda is very child-friendly. 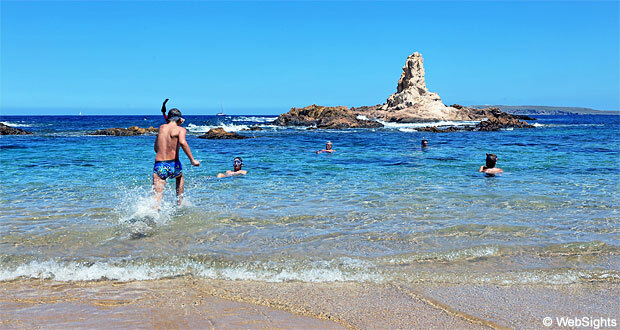 There are no water sports activities, but the bay is very suitable for snorkelling. It is also possible to swim to the small islands in front of the beach. There are no beach bars or beach restaurants. The two nearest holiday resorts are Cala Morell and Fornells. Both resorts are fairly small and relatively far away from the Beach. 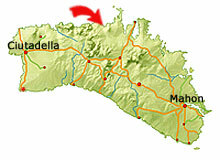 In the top left corner of the map, you will find Cala Pregonda. 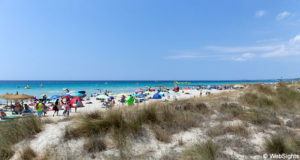 The smaller beach, Cala Pregondó, is a bit further to the south-east. You can park your car at Binime·la, which is found in the bottom right corner of the map.